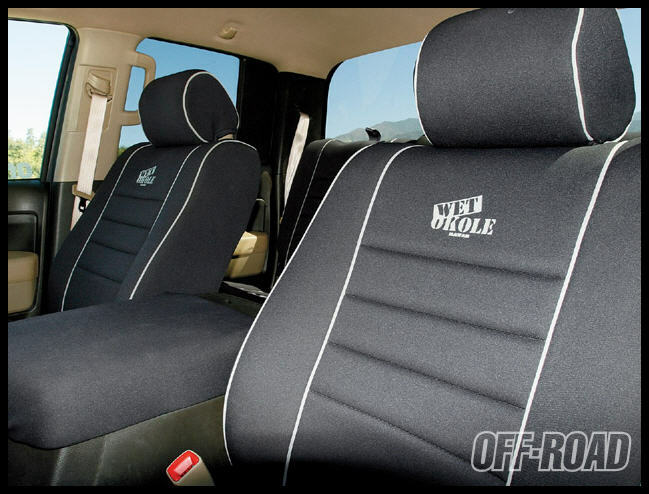 Your neoprene seat covers are made to be very resistant to many common organic compounds out there. Normally, those organic compounds could cause harm to the fabric of your seats. However, the neoprene cover serves as protection against those compounds. Unfortunately your neoprene seat covers are not preventative of everything. When caring for your neoprene seat cover you should products formulated specifically for neoprene. There are a number of chemicals that can degrade neoprene, most of which are highly corrosive in nature. Here is a list of a majority of those chemicals. Hydrochloric Acid – The chances of you having this lying around and deciding to use hydrochloric acid on your seat covers is pretty slim. However, it is commonly used in the pickling of steel. That means it is used to remove rust or iron oxide scale from the steel. There is a chance you have a household product that contains some hydrochloric acid. Avoid using this near your car seat cover. Acetic Acid – While it is highly unlikely that you have a bottle of acetic acid around, it is important to note that vinegar does contain 4-18% acetic acid by mass. Some DIY cleaning solutions include the use of vinegar and while the diluted solution would contain very little acetic acid, we’d still recommend not using it on your car seat cover. Boric Acid – One of the most common uses of boric acid is as a pesticide. So if your car has an infestation of insects, you need to find another way to disperse of them as boric acid can harm your neoprene. Hydrogen Peroxide – Hydrogen peroxide is a common household item often used as for sterilization. It was commonly used as a disinfectant for cuts and some people still use it for such, though studies have shown it can do more harm than good. Regardless, don’t keep a spare bottle of this in your car. Iodine – Iodine is another common disinfectant that can be found around the house. While it is unlikely that you thought to use this to care for your neoprene car seat, it is worth keeping in mind to avoid using for such a purpose. Kerosene – While mainly used as fuel, kerosene has also been used as a cleaning solution to remove tough adhesive left by stickers of glass, as a lubricant for bicycle and motorcycle chains, and as a paint thinner. Be care when using this around your car as kerosene can degrade the neoprene in your seat covers. Motor Oil – Motor oil is for your engine, not your car seat cover. Be careful after using motor oil, that you don’t drip any in the interior of your car or track in any excess oil on your clothes. Turpentine – Turpentine can be used to thin paints and produce varnishes. Again, if this is in your garage just be careful to not track any of it into your car after using it. Urine – Just from a cleanliness standpoint, you probably don’t plan on urine being present in your vehicle. Surprisingly, urine can have a corrosive effect on neoprene so if there are any accidents from children, it is best to clean them up as soon as possible. Hopefully, you’d be cleaning that up as soon as possible anyways. Chlorine – Finally, chlorine is another liquid you want to keep away from your neoprene car seat covers. There are many chlorine-based bleaches that can be used as cleaning agents for a number of materials, but not for neoprene. This can damage the color and quality of the neoprene.